The world is configured in ways that seem systematically hospitable to life forms, especially the human race. Is this the outcome of divine planning or simply of the laws of physics? Ancient Greeks and Romans famously disagreed on whether the cosmos was the product of design or accident. 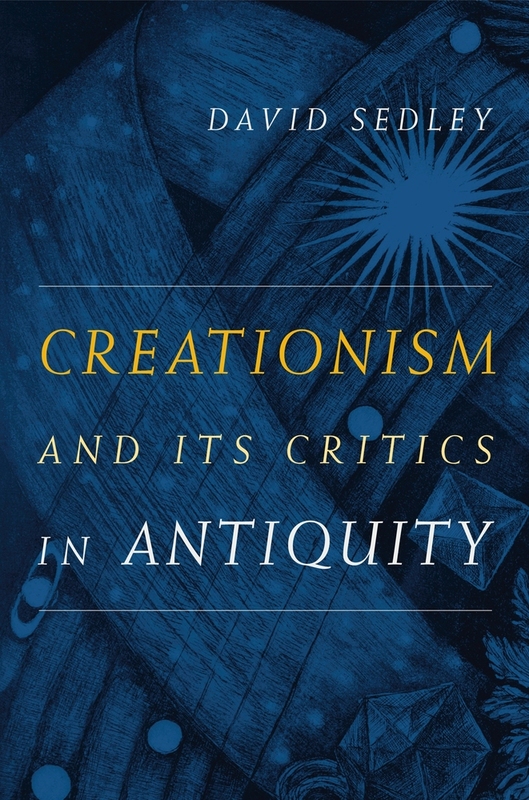 In this book, David Sedley examines this question and illuminates new historical perspectives on the pantheon of thinkers who laid the foundations of Western philosophy and science. Versions of what we call the "creationist" option were widely favored by the major thinkers of classical antiquity, including Plato, whose ideas on the subject prepared the ground for Aristotle's celebrated teleology. But Aristotle aligned himself with the anti-creationist lobby, whose most militant members—the atomists—sought to show how a world just like ours would form inevitably by sheer accident, given only the infinity of space and matter. This stimulating study explores seven major thinkers and philosophical movements enmeshed in the debate: Anaxagoras, Empedocles, Socrates, Plato, the atomists, Aristotle, and the Stoics. David Sedley is Laurence Professor of Ancient Philosophy at the University of Cambridge. He is the author of many books, including Plato’s Cratylus (2003) and The Midwife of Platonism: Text and Subtext in Plato’s Theaetetus (2004), and is the editor of The Cambridge Companion to Greek and Roman Philosophy.